Today I’m featuring the essential oil of Lavender since she’s the most widely used and versatile essential oil. Lavender is highly effective, safe for everyone, easy to use and kids love it. Lavender is sometimes referred to as “the universal oil”, but I like to think of her as “The Mother of all Essential Oils”. Lavender plants and their respective essential oils! 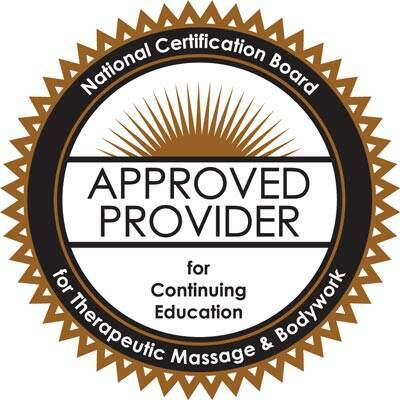 For more than 15 years I’ve been teaching classes on the use of essential oils. I often begin by passing around perfume testers doused with Lavender. As the students smell this oil, I suggest that if aromatherapy is something they are planning on incorporating into their life, they should start with Lavender. I invite you to do the same. I have to confess that Lavender isn’t my favorite oil, aromatically. I like the smell well enough, and I adore her therapeutic and energetic versatility, but when I take a sniff from the bottle, my eyes don’t roll back in my head like they do for, say Myrrh or Clary Sage. Nevertheless, I couldn’t image life without Lavender oil and wouldn’t dream of leaving her out of my collection of essential oils, my massage practice or my first aid kit. I wouldn’t be caught traveling anywhere away from home (even camping in our tipi) without a bottle. Classification of Lavender: For beginners in aromatherapy, the taxonimy of lavender may be confusing. (Here’s a blog post explaining the scientific plant names of essential oils) In shops, you’ll mostly like find Lavendula angustifolia, but depending on where you purchase your Lavender essential oils, (catalogs will offer a huge variety), you may also run across L. spicata, L. latifolia, L. stoechas just to name a few. The genus of lavender is Lavandula and she has more than 30 species, dozens of subspecies, and hundreds of hybrids and selected cultivars. 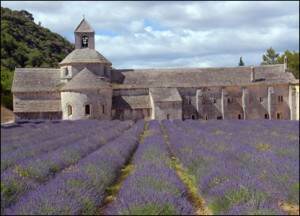 You may also come across “English”, “French” and ‘Spanish’ lavenders which only add to the confusion. These refer to the country where the plants are grown, and are not botanical reference points. The Bottom Line? 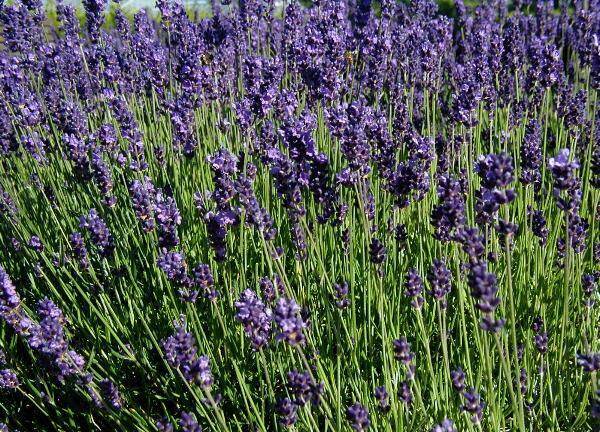 Just buy Lavandula angustifolia. If you come across an oil called “Lavendin”, it’s actually a hybrid of L. intermedia X L. latifoilia and was created to produce a high volume of oil. It’s a great value to the perfume industry and when you see those photos of great rolling hills of purple in France, it’s usually Lavandin. Geographical Source: Indigenous to the Mediterranean but now cultivated all over the world. The main producers are France, England, Spain and Bulgaria, but there is a beautiful Lavender coming out of India now. 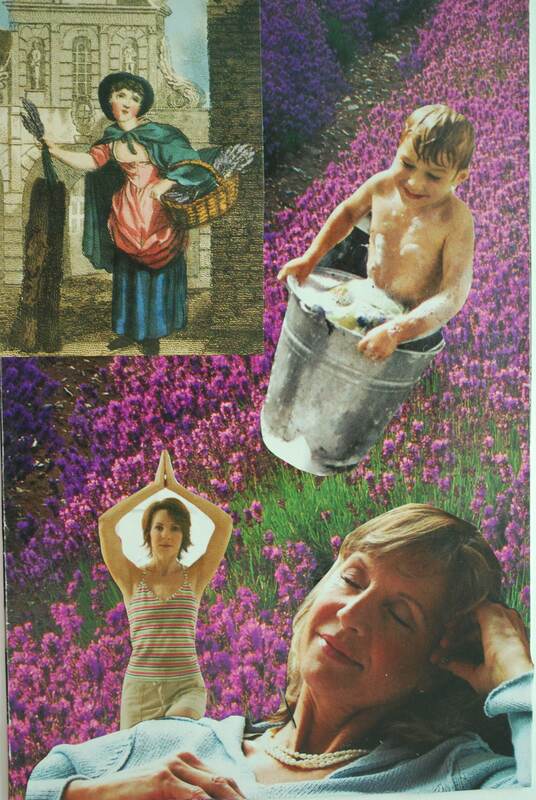 Extraction: Lavender essential oil is made by steam distillation of the flowering tops of the lavender plant. Characteristics: This oil has a sweet, floral-herabaceous scent and is clear in color. Viscosity is watery. I always think of “clean” when I smell this oil. In fact, the word lavendula is derived from the Latin word lavera which means “to wash”‘ and the Romans used it frequently in their bath routine, and would hang their wet clothes over huge lavender bushes to dry. Principal Constituents: A complex oil with over 100 constituents including linalyl acetate (as high as 40%) linalol, lavandulol, lavandulyl acetate, terpineol, cineol, limonen, limonene, 1,8-cineole, cis-ocimene, trans-ocimene, 3-octanone, camphor. Ways to Use Lavender: Where do I begin to tell you of all the benefits of Lavender essential oil and ways you can use it? Name a problem and it’s likely that Lavender can be useful! Lavender produces a mild sedative effect on the central nervous system and is fabulous for anything nerve-related such as PMS, tension, anxiety, depression, panic, general nervous exhaustion. It’s a great balancer. Lavender has been known to be very effective in treating headaches, migraines and insomnia; however, let me say here that these three conditions have many sources. If the source is hormonal or something systemic please know that Lavender will help, but it may not be the complete answer. Please see your doctor if migraines and insomnia become severe. Lavender is famous for its affinity with the skin and, in particular, the capacity to heal burns and all types of skin wounds. It helps acne, oily skin, boils, burns, sunburn, wounds, psoriasis, lice, insect bites and stings. There is one species called Lavandula latifolia commonly known as Spike Lavender that is higher in camphor than the others and is excellent for colds and flu because it acts as a gentle expectorant. In fact moms take note: try Spike Lavender for opening up children’s stuffy noses instead of Eucalyptus globulus. Lavender oil relieves pain when used for rheumatism, arthritis, lumbago and muscular aches, especially those associated with sports. Topical application: massage (5-6 drops to 1 oz carrier oil), bath (10 d) or a drop or two can be used directly on the skin for wounds or sunburn. This is a good oil to use in an evening bath, especially for kids, or to add a few drops on the bed linens to promote sleep or just help you slow down after an energetic day. A few drops of essential oil of Lavender directly on the burned skin. Repeat a few times a day. Keep a bottle of aloe vera with your Lavender. If a large area of the body (back, legs) becomes sunburned, squirt some aloe vera in a small cup and add about 10 drops of Lavender and mix together. Now smear the Aloe/Lavender mix over the skin. It’s cooling and, if you do it soon after the burn occurs, you won’t blister or peel. Safety: This is a fantastically safe oil. You can even use it “neat” (undiluted) directly on the skin. 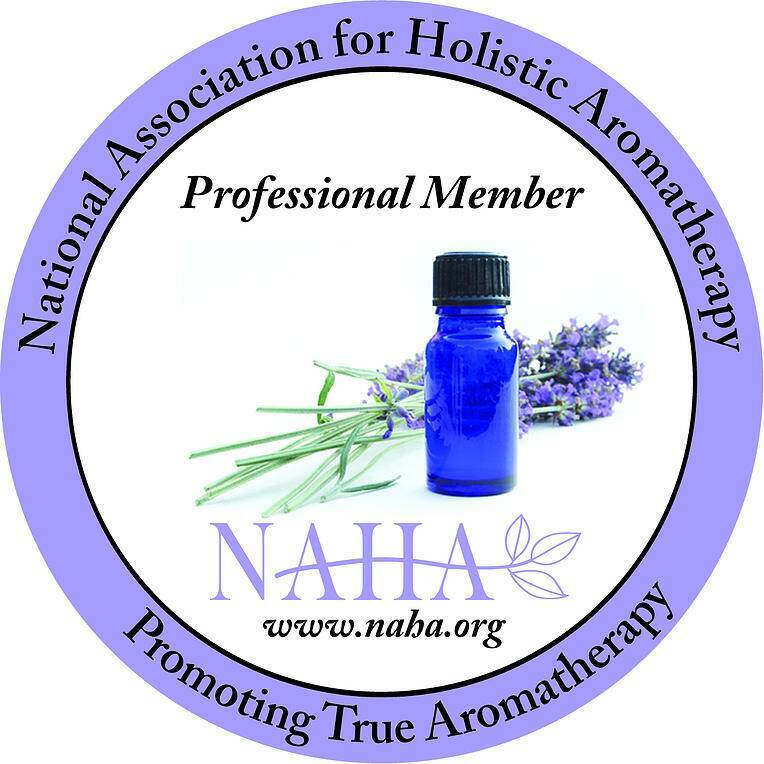 I used Lavender essential oil in an infant massage on my grandson, the Bean, when he was less than a week old and have used it with massage clients with cancer; even those in hospice. If you use a good quality essential oil and keep your dilutions low, this oil can be used on virtually anyone (unless, of course, the person has a specific Lavender allergy). Subtle Properties: (vibrational and energetic): Lavender is one of the most important subtle energy oils because she balances all energy centers and subtle bodies. This is a useful oil to incorporate into energy work because it calms and stabilizes emotions of the heart. Lavender also helps to integrate spirituality into everyday life. 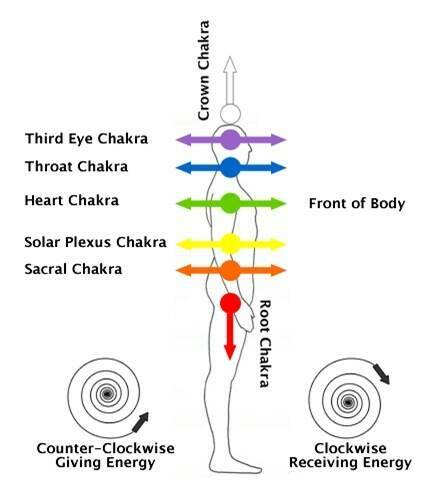 For those who do Reiki, it helps increase sensitivity to your hands during the work. I have had many personal experiences with this oil, but I’ll share a couple of favorites. 1. When my sons were younger and would get overly excited and wound up, I’d make them stop in their tracks, open their hands and I would put a couple of drops of oil on their palms. I’d tell them to cup their little hands around their nose and take a deeeeeeep whiff. I could see a “calming down” in a matter of minutes. When they had sleepovers, I would diffuse this oil near the kids to keep down the little-boy stench and to prevent them from running through walls. It was very effective. 2. When my son Gianluca was eight, he played Little League baseball. Once, during a game, a little boy from the other team had a kind of panic attack and couldn’t get up to bat. My husband had lavender in his shirt pocket and approached the Mom telling her that he wasn’t a doctor but had an oil that we use to relax our son and it may help her boy. She happily agreed and my husband put the oil under his nose and spoke with him for a few minutes in a soothing voice. After about five minutes the boy said he felt better and got up to bat. I am the great balancer. I am one who is always there for you. I am one who soothes the ruffles of your charged up nerves. I am one who speaks to the children. I am one who is ancient and pure. I am one who carries you to France and beyond. Oh my Liz, I thought I knew quite a bit about Lavender because it was one of my very favorites that I use, but I learned so much more from you today! Thanks for the awesome explenation! Great info, Liz! Love the way how you present the details about Lavender. Thanks for sharing this! I need lavender!!! I must get some, my headaches and migraines have been getting more frequent due to my stress levels. Thanks for the great info! I really enjoyed this post. Now I know more things I can do with my lavender. Lavender has long since been a staple in our home! Last thing before going to bed at night I place a drop on each temple…love it! Wow what a lot of great information. I recently bought lavender and underestimated it’s value. Thanks! Enjoy this post and love essential oils too. 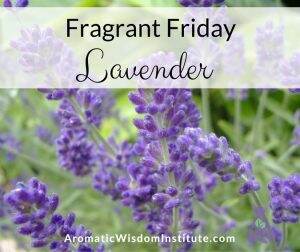 The smell of lavender is heavenly with great properties. I don’t use it to sleep as I can fall asleep anywhere. I DID NOT know all that background info regarding lavender. So with that said, lavender for the 1st oil here I come! I so love lavender. I put it into my homemade soap. Thank you for writing. You have reminded me why I love this particular essential oil. Your website is wonderful. I would like to learn more about the field of aromatherapy, for which I am gaining a new respect. Your article on tea tree oil and eucalyptus was also very enlightening. Hi Roseann, how great of you to stop by and to offer your kind words here! It is so easy to love essential oils, isn’t it? Please come by for a visit anytime. And feel free to ask me questions!